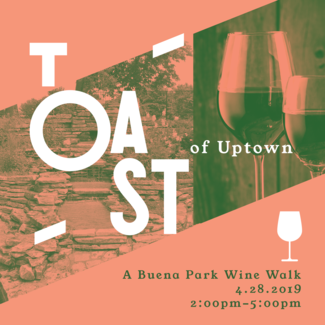 Business Partners, The Chamber for Uptown is looking for volunteers to assist with our upcoming event - the 2nd annual Toast of Uptown: A Buena Park Wine Walk - an afternoon of strolling and sipping in beautiful Buena Park! Volunteers are needed to help with registration and serve as runners to a select group of businesses among the 13 that are participating in this year's event. Volunteers are welcome to participate in the wine walk before/after their shift as our guest. All volunteers should be 21+. Contact Greg Carroll, [email protected], with any questions.